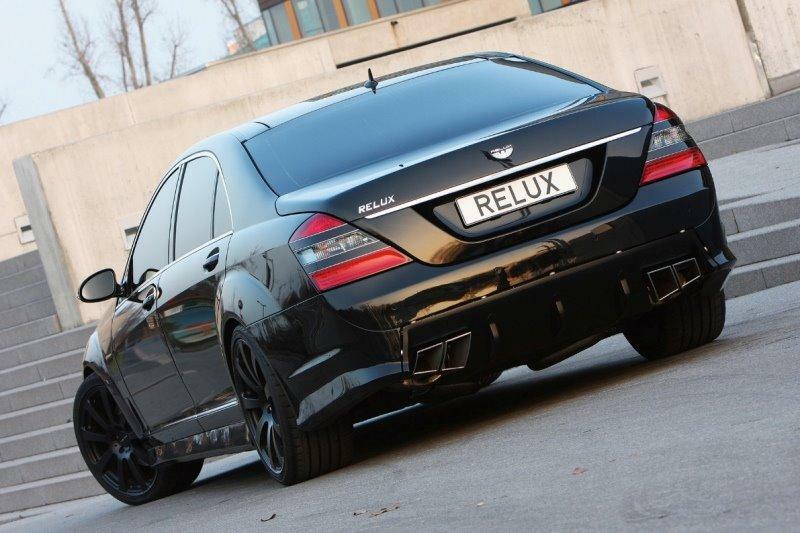 If you have an S-Class and want to get highlights, then you should see this kit from Relux. Why? Because although it may be considered one of the most beautiful versions, is certainly one of the most unique forms such retrieval is difficult with another S-Class. That being said, seeing the changes. On the outside, one can say that German limo was transformed into a tank (German and all that). Here’s LEDs, a new front spoiler, side thresholds, rear spoiler and a speaker included exhaust system strange but interesting. Also, black rims 20 inches complete the look of the Darth Vader. On the inside, things are a little light to get here from a theme in black and white. And yes, those from Relux can provide a series of mechanical changes such as upgrades to the ECU, exhaust systems or new turbines. good job :P, However, I don’t see the relevance of this post, although the content is great, but this is mainly a black wheels website.